Q: What will the finished repair look like? Do you guys paint it? A: We are a metal fabrication and corrosion prevention shop. 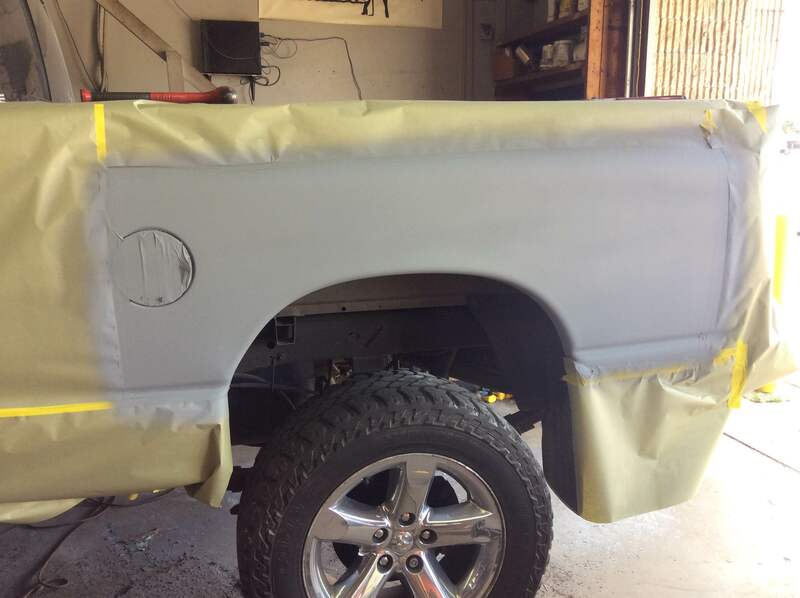 If we changed out a rocker panel, or wheel arch we will apply Bondo to smooth any panel steps and grinding marks. Do NOT expect this to be paint booth ready or even completely straight. Body work is an artform. It will need an experts touch to be perfect. We do not have a paint booth. There is no dust and oil free place for us to apply finish coats. We’re metal fab experts not paint and body pros. For frame/under-body repairs, the repairs will be undercoated so the bare metal is protected. Q: Can I send you pictures for an estimate? A: Absolutely! That will help in coming up with a general idea but unfortunately we need to see the vehicle to give an accurate estimate. Q: The bottom of my doors/hood/or tailgate has rust bubbling. Can you fix that? A: A thin gauge body panel like a door is made of an outer skin folded around an inner panel. The bottom fold is a grit trap after years of exposure pin holes in the factory coatings will allow moisture to get to the metal. This happens between very delicate and thin components that take a considerable amount of time to disassemble and refabricate. For easily bolted on components like this it is most often less costly to buy a new or used part rather than for us to repair it. The absolute only service we will attempt is to wire wheel the inside edge and then bomb a coating of Rustoleum on. This will mitigate the exposed steel and slow things down but will absolutely NOT eradicate the problems entrenched between the folded layers. The problem will be back. This is billed at only .25/hr per door edge so its cost effective as long as you understand what to expect out of the long term finish. Q: How long do I have to wait to wash my vehicle after an undercoat? A: You can wash your vehicle immediately however we ask that you do not use a pressure washer or take it through a car wash with an undercarriage pressure wash for a month. Q: What do you do it if it’s raining/snowing the day I bring my vehicle? A: We take a couple different approaches regarding vehicle prep. First, if your vehicle is new enough to not have corrosion set in then there is not going to be a porous base that traps moisture deeply. Typically, a walk around with a compressed air gun is all it takes to get the droplets and sediment pockets cleared out. Then, our product is applied at 140 psi and you can see it just displace any remaining dampness as it coats. Should you have a bunch of mud, muck, slush or heavy scaling built up then we will have to modify our approach because coating any of those will result in a quick failure! From descaling to fresh water rinse outs, we can handle it all. Of course we do strongly encourage customers to bring us vehicles as clean as possible!